Photos: Cast Iron Culinary Catfish stew. Seafood has a lot going for it nutritionally, which is why the running crowd should serve up these gifts of the sea more often. These recipes will help you get hooked on the most nutritious and sustainable gems from the fishmonger. 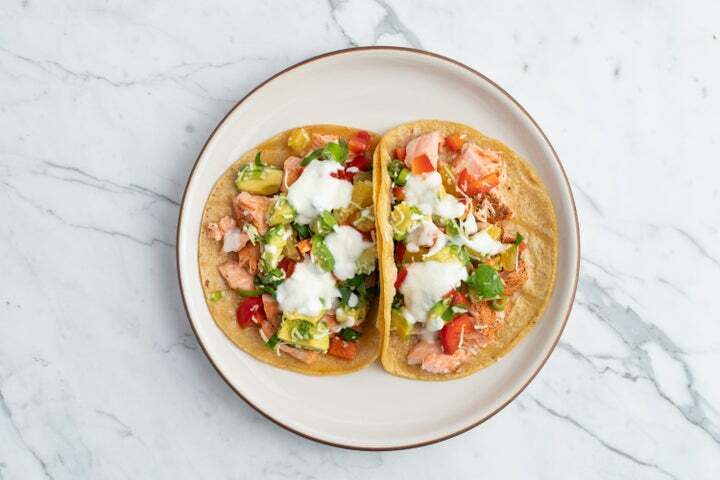 Buttery salmon is swimming in omega-3 fats to make your taco night especially heart-healthy. The orange and red pepper infuse this lively salsa with a dose of immune-boosting vitamin C. Wild salmon is still generally considered a more sustainable catch of the day compared to farmed varieties. Season 1 pound wild salmon fillets with salt and pepper and place on a parchment paper–lined baking sheet skin side down. Roast fish for 15 minutes, or until just barely cooked through in the thickest part. Gently break apart salmon into 1-inch chunks. In a bowl, stir together 1 chopped red bell pepper, 1 cubed avocado, chopped segments from 1 orange, 1/3 cup sliced basil, 2 sliced scallions, 1 finely chopped and seeded serrano or jalapeno pepper, 1/4 cup dried coconut flakes and juice of 1/2 lime. Divide salmon among warmed corn tortillas and top with orange salsa and dollops of sour cream. Makes 4 servings. 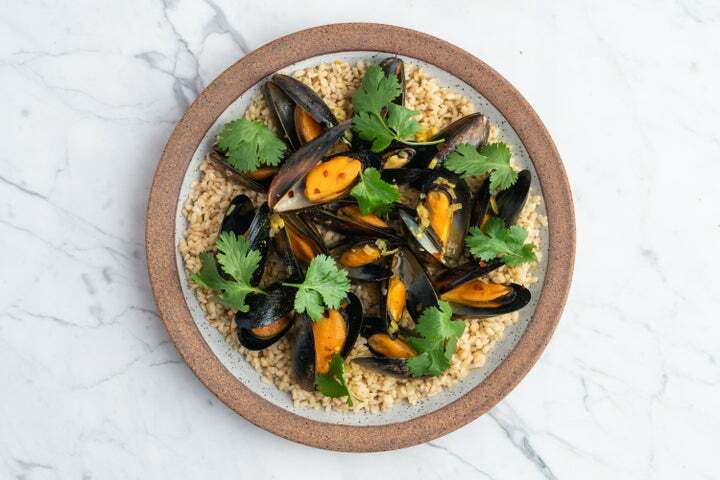 Inexpensive, ultra-sustainable, easy to cook and rich in nutritional goodies (including plenty of protein and vitamin B12), it’s a good idea to add briny mussels to your menu more often. Consider serving with brown rice to help soak up the deeply flavored broth. Heat 1 Tbsp butter and 1 Tbsp canola oil in a large saucepan over medium-high. Add 1 chopped shallot, 2 chopped garlic cloves and 1 Tbsp finely chopped fresh ginger; cook, stirring often, until shallot starts to soften, about 2 minutes. Add 2 teaspoons yellow curry powder, 1/4 tsp red chili flakes and 1/4 tsp black pepper. Heat, stirring constantly, 30 seconds. Add ½ cup dry white wine and 1 cup light coconut milk. Bring to a boil, then add 3 pounds mussels. Reduce heat to medium, cover and simmer for 3 minutes, shaking pan once or twice during cooking time. Squirt in lime juice and sprinkle in cilantro. Discard any unopened mussels and serve in bowls topped with curry broth. Makes 4 servings. Holy mackerel, this swimmer contains a boatload of muscle-building protein, heart-boosting omega-3 fat and vitamin D, a hard-to-get nutrient linked to improved fitness levels. Look for ready-to-go smoked mackerel that can instantly elevate the nutrition of grain bowls, sandwiches and pasta dishes. Place 1 cup spelt berries, 3 cups water and a couple pinches salt in a saucepan. Bring to a boil, reduce heat to medium-low and simmer covered until spelt is tender, about 40 minutes. Drain away any excess liquid. In a bowl, whisk together 3 Tbsp olive oil, 1 Tbsp cider vinegar, juice of 1/2 lemon, 2 Tbsp prepared horseradish, 2 tsp grainy Dijon mustard, 2 tsp fresh thyme and 1/4 tsp, each, salt and black pepper. 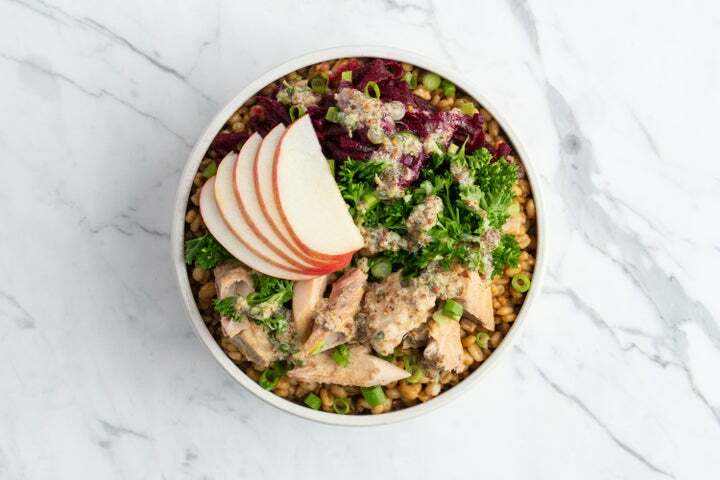 Divide spelt among serving bowls and top each bowl with 1/2 cup chunks of smoked mackerel, 1/2 cup grated beet, 1/2 sliced apple, 1 sliced scallion and 1/4 cup parsley. Drizzle on horseradish dressing. Makes 4 servings. Sustainably farmed rainbow trout is milder tasting than salmon and harbors very low levels of contaminants. It also helps you reel in mega-healthy omega-3s as well as phosphorus, a mineral vital for bone health. 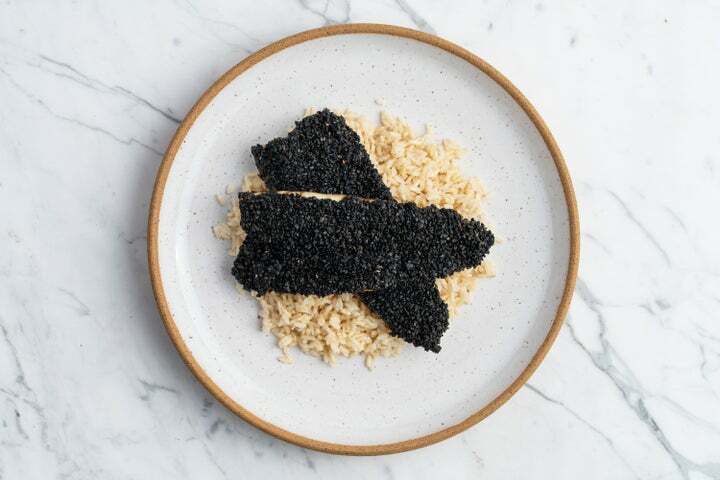 The sesame-miso coating gives trout restaurant-worthy appeal. Heat oven to 400 degrees. Whisk together 1 Tbsp white or yellow miso, 1 Tbsp soy sauce, 1 Tbsp lime juice, 2 tsp sesame oil and 2 tsp minced fresh ginger. Brush over top of 1 pound rainbow trout fillets. Spread 1/4 cup black sesame seeds on a plate and lay trout fillets face-down on plate to coat tops with seeds. 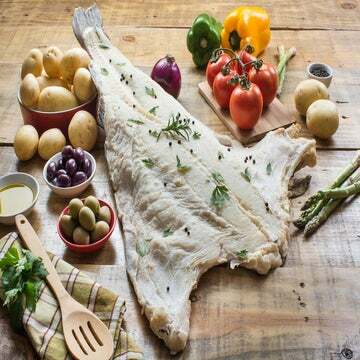 Place trout fillets on a parchment paper–lined baking sheet, skin side down, and bake until fish is just barely cooked through, about 12 minutes. 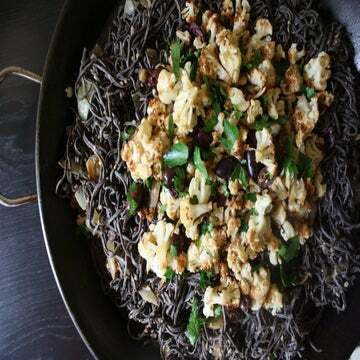 Serve with brown rice or roasted potatoes. Makes 4 servings. More flavorful than tilapia, catfish is farmed in the U.S. using less environmentally taxing techniques such as recycling water. 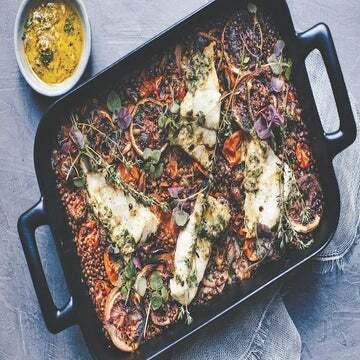 It also provides a range of vital nutrients including thiamine, selenium, phosphorus and vitamin B12, so you can take even greater comfort in spooning up this one-pot wonder. Heat 1 Tbsp canola oil in a large saucepan over medium heat. Add 1 chopped yellow onion, 2 chopped medium carrots and 1/2 tsp salt; heat 5 minutes. Add 1 pound halved mini potatoes, 2 sliced celery stalks and 3 chopped garlic cloves; heat 3 minutes. Add 2 Tbsp tomato paste, 1 tsp dried thyme, 1/2 tsp red chili flakes and ¼ tsp black pepper in pan, and heat 30 seconds. Place 1 cup red wine in pan, bring to a boil, reduce heat to maintain a strong simmer for 3 minutes. Add 1 (28 oz.) 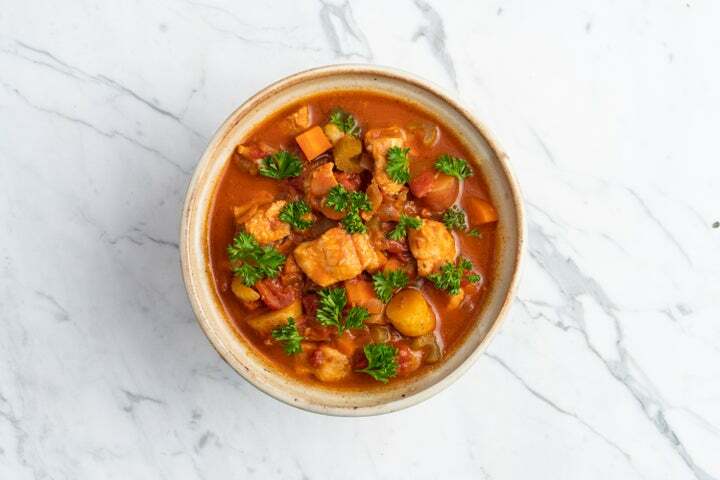 can diced tomatoes and 1 cup vegetable or chicken broth to pan, return to a boil, reduce heat and simmer covered until vegetables are tender, about 20 minutes. Stir in 1 pound catfish, cut into 1-inch chunks, and cook for 6 minutes, or until fish is opaque throughout. Serve garnished with parsley. Makes 4 servings.